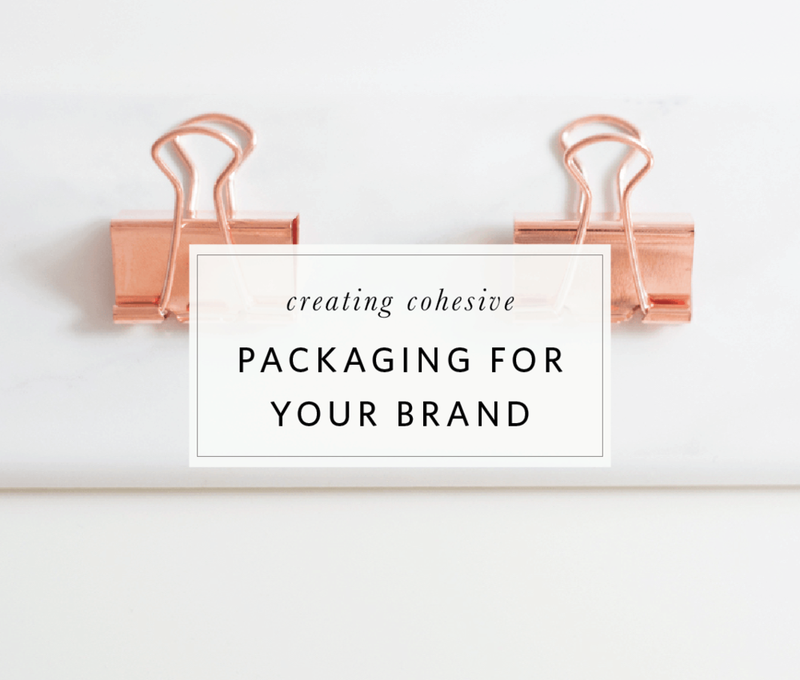 If you are feeling that your brand is less than desirable and are looking to rebrand, I recommend doing this before investing money into custom packaging. You will want your brand to stand out, so think about what you currently have and how this affects your customers. Anyone should open the package and instantly know that it came from you. Branding is much more than a logo and a few graphics - it is the overall customer experience, and should reflect who you are and what you want your company to be. My condensed logo (third picture) shows on stickers, which I place on my packaging in a few spots. Most of my paper products are wrapped in a cellophane sleeve, and then tied with a ribbon. Often times, I will also place a sticker on the outside of the package, which has my website underneath for more exposure. This would also work great with tissue paper, if you need to wrap your products in something before they ship. Also, always use a logo on other materials that are inside, such as thank you cards, coupon cards, keep in touch cards, etc. I am a big fan of custom packaging, if it coordinates with your products and it is affordable. There are many ways to use custom packaging for your products, such as custom printed tissue paper, boxes, ribbons, tape, etc. that can really show off your brand. I had these great artisan boxes printed from Rice Studio Supply, which features my logo and website address in silver foil. I give these boxes out when my clients order their wedding invitations, so they have a keepsake container for their spare cards, as well as pictures and other moments from their wedding day. Since this sturdy box is a keepsake, it is a great branding opportunity, and let's face it - it's just plain pretty. I also ordered their custom portfolio envelopes (below), which are sent to prospective retailers with my stationery samples. Think about what you are sending, and creative ways you can incorporate special packaging to reflect your brand and make you stand out. I used to use the standard FedEx or USPS boxes to ship my items; however, they are not very professional and I was missing an opportunity to showcase my brand. I switched to Uline's White Mailers because they are sturdy, and offer two colors (white and kraft). I use the white version to ship my products in, and place a sticker on the outside with my logo to keep my brand consistent. They are lightweight and offer protection for my products as well. I use this in conjunction with Uline's white crinkle paper (shown below) as a filler to keep my products from shifting, and offer consistent colors throughout. I have been using Uline for years; they offer great products and extremely fast service (I typically receive my order the next business day). Keep your colors consistent with your brand as well as what is on your website will make your packages recognizable to your customers. My primary colors are grey and white, so I use white for my shipping boxes and the shredded filler paper. I like to add a small pop of color with either a blush or silver ribbon to give it the "wow" factor when the box is opened. Try to keep your packaging to a minimum of 2-3 colors that are a part of your brand. Inserting a hand written thank you note could be the single most important piece of collateral that you use when shipping your products. A sincere thank you for your business is so important in the digital world that we live in today, and can really set you apart from others. I recently read The Art of the Handwritten Note, A Guide to Reclaiming Civilized Communication by Margaret Shepherd, and it is a fantastic read and could be very helpful to small business owners. A great way for repeat business is to insert a coupon with your products! Depending on your business, this could be a 10 or 15% off your next order promotion, which will invite your customers to shop or book your services again. We all want repeat business, so in order for your customers to remember you, invite them to follow you on social media. This is a quick and simple way to send them your media handles so they can always have you in the back of their minds for future purchases or bookings. Adding just a few special touches can really change your packaging. A few examples would be ribbon, twine, tags with your logo or a saying on them, colored or custom tissue paper, colored shredded paper, and washi tape. Depending on the product you offer, another idea would be to include an insert on how to take care of their product. For example, if you are a photographer and are shipping prints and USBs, you many want to remind them to keep their USB and prints out of direct sunlight and away from moisture to avoid damage. Or, if you are environmentally conscience, you can create an insert on 100% tree-free paper and remind them to recycle their packaging. This shows off more than just your product, but who you are as a company. Remember, when creating packaging for your brand, keep it simple. You are trying to achieve an overall experience, but do not need too many bells and whistles to reflect your brand authentically. What are some of the other creative ways you package your products?